In training at Lal Bahadur Shastri National Academy of Administration, Mussoorie from September 2001 to May 2002. 1. Assistant Collector at Chhindwara from 01/06/2002 to 15/06/2003. 2. Assistant Collector Gwalior, City Magistrate, Murar, Gwalior and SDO (Revenue) & SDM Dabra, Dist Gwalior from 11/08/2003 to 15/07/2004. 3. SDO (Revenue) and SDM Mhow, Dist Indore from 16/07/2004 t0 03/01/2005. 4. Municipal Commissioner, Indore from 04/01/2005 to 15/02/2006. 5. Project Director, ICDS, Directorate, Women and Child Development Department, Bhopal, from 16/02/2006 to 08/04/2007. Ex-officio Deputy Secretary, Women and Child Development Department, Bhopal (1-05-2006 to 08/04/2007). Managing Director, Women Finance and Development Corporation (12-07-2006 to 03-02-2007). Programme Director, IFAD, Tejaswini Project (Dec 2006 to 08/04/2007). 6. Chief Executive Officer (CEO) Zila Panchayat and ex-officio Additional Collector (Development), District Chhindwara (from 09/04/2007 to 08/08/2007). 7. Collector and District Magistrate, District: Seoni, Madhya Pradesh. (from 09/08/2007 to 01/03/2009). 8. Collector and District Magistrate, District: Singrauli, Madhya Pradesh. (from 02/03/2009 to 31-12-2011). 9. 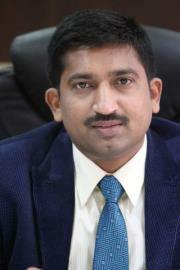 Collector and District Magistrate, District: Gwalior, Madhya Pradesh. (from 01/01/2012 to till date). 1. City Development Plan (CDP) and Detailed Project Reports (DPRs) for Indore under the Jawaharlal Nehru National Urban Renewal Mission (JNNURM) were prepared and submitted to the State Government in a specified time limit. Indore city was the first city to send these reports to Government of India. It was a moment of pride for the State when the then Finance Minister of India Mr.P.Chidambaram in his budget speech on 28th February 2006 mentioned this fact that Madhya Pradesh was the first state in the country to take lead under JNNURM. 2. Year 2006-07: In the capacity of Project Director, Integrated Child development Scheme, provided team support for the implementation of Supplementary Nutrition Programme (SNP). On the local food model the entire menu was changed from "Dalia based nutrition programme" to "Delicious nutrition based programme". I think this is a historical decision and policy change which has given a new direction and name to the department itself. 3. As Project Director, Integrated Child development Scheme Anganwadi centres made "the Centre" of various mangal (Shubh) activities by introducing Godh barai, Anna prashan, Janmdiwas and Kishori balika diwas is another such step to make anganwadi centers attractive places from mere dalia centers. 4. As Project Director, Integrated Child development Scheme and Deputy Secretary Women and Child development department-Drafting "Ladli Laxmi Yojna-Girl Child Empowerment Scheme" is the major contribution of mine during this period. This scheme is being lauded as a well drafted scheme and will definitely be a truly sincere programme ever made for the girl child empowerment. 5. Ladli Laxmi Yojna was implemented in its true spirit in the Seoni district and against a target of 600 (beneficiaries) we achieved 2595 (432.5%). This put Seoni district in 1st position in the State as per the % target achievement wise. I also got "Impact Evaluation" of this scheme done in Seoni (for the period of implementation: April to December 2007), and the analysis suggested that the scheme was achieving its mission. 6. Successfully organized "Singrauli Mahotsav" at Singrauli on 24th May 2009. This is to mark the first year of the Formation of Singrauli District. Again the same was successfully organized for 3 days from 22nd to 24th May 2010. For a third time in a row successfully organized mahotsav for three days from 22nd to 24th May 2011. Honorable Chief Minister of Madhya Pradesh was kind enough to grace the occasion for all the three years. and eight (8) Coal blocks (3 of Reliance, 1 of Sainik Coal, 1 of MP Mineral devpt Corp, 1 of Jaypee Minerals, 1 of Jaypee Dongritaal, 1 of Mahan Coal). All this was done ensuring smooth land acquisition on one side and effective R&R for the Project Affected People (PAPs) on the other. Also developed and documented a Singrauli model of R&R which can be replicated in other land acquisition demanding areas. Received Chief Minister's Award for Excellence for the year 2009 for this Singrauli Model of Peaceful Land acquisition and Resettlement & Rehabilitation (R&R). 8. Implemented a major project "Lifeline Express (Impact India Foundation)", the hospital on wheels, in which nearly 2500 operations were conducted in the areas of eye, ear, cleft lip, dental, epilepsy, polio corrective surgeries for the most needy people. Lifeline express was in Singrauli from 2nd to 24th October, 2011. 1. Received "Crisil Award 2005 for Excellence in Municipal Initiatives" as Municipal Commissioner Indore. Indore Municipal Corporation received this award for the JanSahyog concept for constructing colony roads with public participation. 2. Received Commendation letter and Trophy from His Excellency Governor of Madhya Pradesh Shri. Balram Jhakad for highest collection of amount for Armed Forces "Flag Day" for the year 2007. 3. Received "Best E-Governed District of MP" Award for the year 2007-08 from the Chief Minister of MP Shri Shivraj Singh Chauhan for the initiatives taken in the area of e-governance Seoni District. 4. Received Citation and Trophy from Hon'ble Chief Minister of MP for "Bank Revenue Recovery" of over 2 Crores amount in Seoni District for the year 2007-08 on 23rd January 2009. 5. Received National Award for "Best Local Level Committee", "In Recognition of Outstanding Performance in the field of Empowerment of Persons with Disabilities in Seoni District" for the year 2007-08 from Hon'ble Vice-President of India Shri Hamid Ansari and Minister of Social Justice, Government of India, Smt. Meira Kumar on 3rd December 2008 at New Delhi. 6. Recipient of Chief Minister's Award for Excellence for the year 2009 for Singrauli Model of Peaceful Land acquisition and Resettlement & Rehabilitation (R&R). 7. Awarded with a Cash prize of Rs.1 lakh for Achieving 100% target set by the State Government's Family Planning Program (Year 2010-11) and 200% of target set for NSVT (male sterilization). 8. Received "Best E-Governed District of MP" Award and Appreciation letter for the year 2010-11 in Singrauli district for the initiatives taken and making governance easy by using software tools. 9. Received "Dainik Bhaskar Group's India Pride Awards-2011" for the work done in Singrauli on Land Acquisition and Rehabilitation from Hon'ble Jairam Ramesh, Minister, Rural Department, Government of India. This award was presented on 21st October 2011 at New Delhi and given in the category of "Impact Creator-Civil Servant". 10. Certificate of Commendation for the nomination of Singrauli District in the CSI-Nihilent e-Governance Awards 2010-11. 11. Received Appreciation Award for the Best IT Awards of the State in the category-"The Best IT for Masses Project implemented by State Government Department/Agency". This award was given for the successful implementation of Janmitra Kendra project in Gwalior district for the year 2011-12. 12. Received Spandan National Trust National Award-2012 for "Best Local Level Committee", "In Recognition of Outstanding Performance in the field of Empowerment of Persons with Disabilities in Gwalior District" for the year 2011-12 from Hon'ble Shri Mukul Wasnik, Minister of Social Justice and Empowerment, Govt Of India and Hon'ble Shri D Napoleon, Minister of State for Social Justice and Empowerment, Govt Of India on 5th September 2012 at Teen Murti Bhavan, New Delhi.